So, on May 23rd at 8.30 AM my water broke. I was in bed scrolling through Facebook when I coughed and it felt almost as if I had peed myself, but not really. So I ran to the bathroom while some liquid was seeping down my legs, only to realize that it was, in fact, my water. Pudgy’s little water world was getting smaller. Something I didn’t know was that for some there’s a small amount of water coming out but for others (namely myself) it came out in bursts. Many, MANY bursts – all throughout the day. I soaked through 3 pairs of underpants and about 10-15 big pads. I’m just glad I wore a dress. 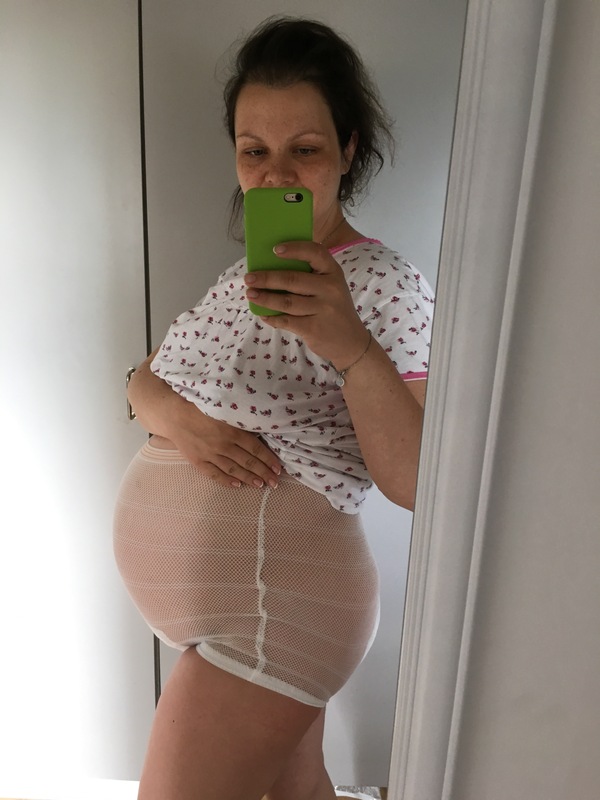 We had an appointment scheduled with the midwife from earlier on and after having spoken to the hospital in the morning I was instructed to go to the midwife and get myself checked and then call the hospital to make an appointment. But the lady we got to see was not our regular one, since she’s on vacation, this one was pleasant but not very good. My water kept coming in bursts and I had to run off to the bathroom with it running down my legs. Which is a bit uncomfortable and somewhat stressful, and that is why one shouldn’t check the blood pressure right after something like that. But she did. Mine came back 160/100 on the first try and 140/95 on the second. Both very wrong, but that’s irrelevant. After that visit I called the hospital and they told me to come in after about 3 hours. They suggested I eat something properly before coming in at 1 PM. 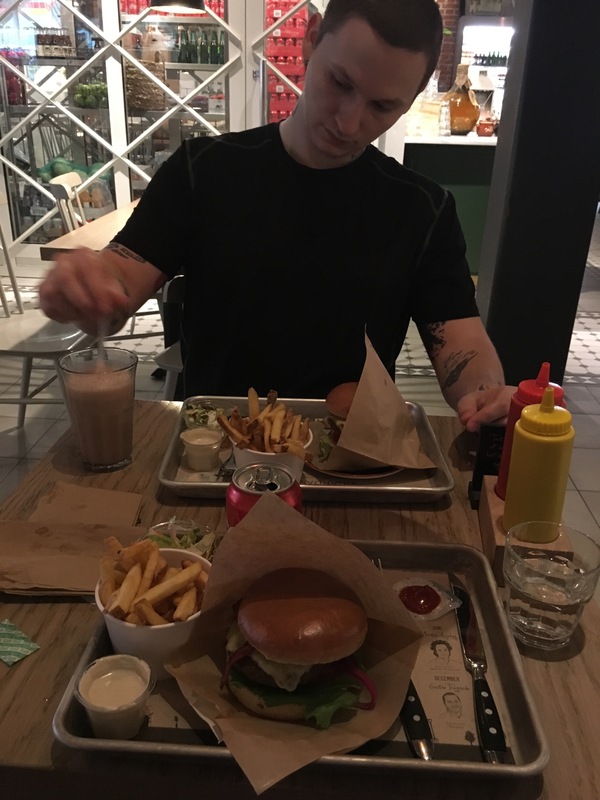 So we went for burgers at a place called Vigårda in the Mall of Scandinavia. The burgers were great but my water broke twice in that restaurant and Sean and I decided it was best to go to the hospital and wait there. I got in and the midwives put me on a gurney and strapped a ctg scan to my stomach. 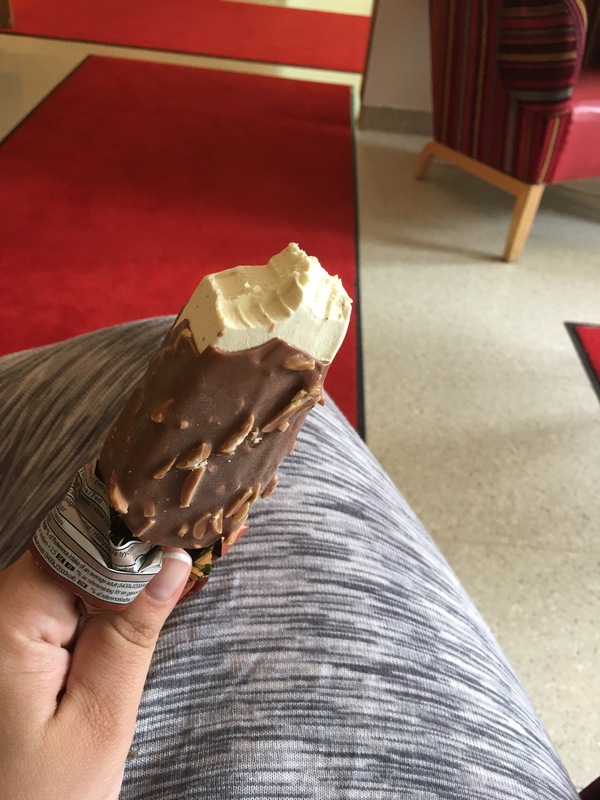 After the checks were done they concluded that my blood pressure was a bit high at 135/70 so they wanted to do some blood work to rule out Preeclampsia, and then followed a many hours long wait to see a doctor – while seated in the waiting room. Sean went out to get us drinks and later on some ice cream and me a sandwich. He really was a trooper but I was pissed off and swollen and just wanted to get out of there or have Pudgy so as to finally meet and greet him. After a few hours the doctors came around to see me. They ruled out Preeclampsia and scheduled an appointment for inducing labor on Thursday at 7.30 (if Pudgy doesn’t start that work himself) and we were sent on our merry way home. At home the water turned from a clear to a pink hue and I started panicking. Even though they told me it could do that. 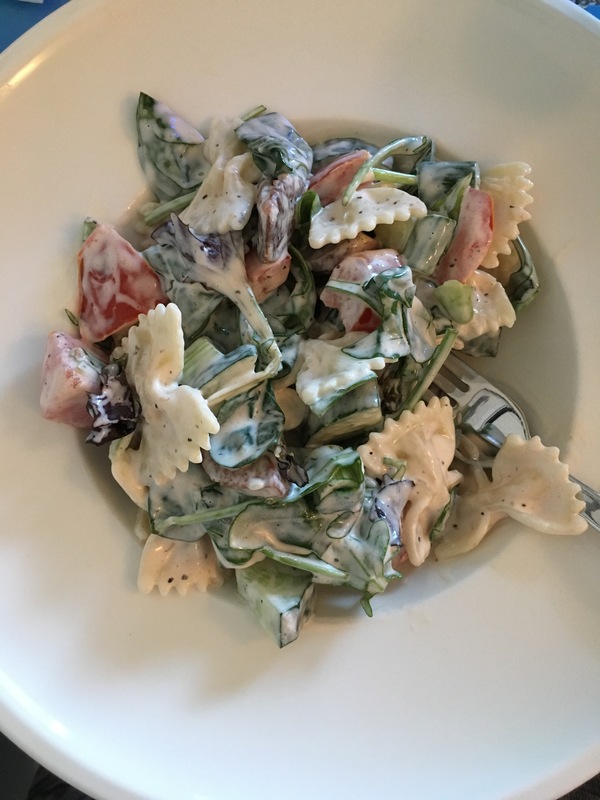 Sean and I made a nice pasta salad to get my mind off of all of that and started watching season 3 of Peaky Blinders, but I was too stressed to watch anything and too tired to be upright so I went for a nap. When I woke up I had a minor panic attack and I was crying for no reason. Sure there were painful contractions but I was just terrified and didn’t know what to do with myself. But I came around to it and settled down after a while. Sean went down like a log and soon after so did I.
Waking up this morning I feel better, the diaper is still on because the water still comes on and off – but there’s less of it and the bursts are further apart and they are once again clear. Now we wait for the labor pains to start on their own and should they not get going today I will be induced tomorrow at 7.30 AM. Don’t pretend like you’re not jealous of my sassy pants! Oh honey, he will come very soon. Boys are so very stubborn (I’ve had 2) but the greatest joy is right after he comes out and you see him for the first time. Try to relax as much as you can and he will come!